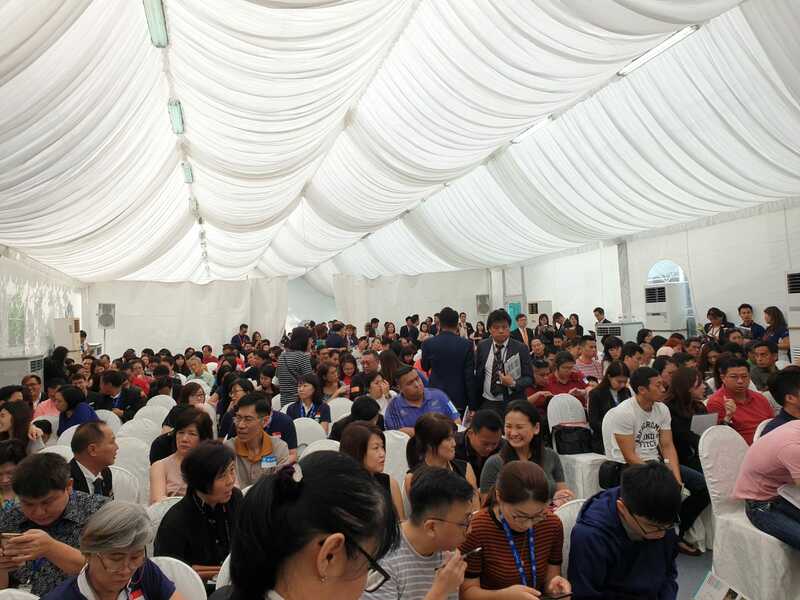 Over the weekend of March 2-3, a total of 200 units were released at The Florence Residences. Of the figure, 54 units were snapped up. “That’s close to 30% sales,” says CB Chng, Logan Property executive director. A redevelopment of the former Florence Regency privatised HUDC estate, the 1,410-unit The Florence Residences located at Hougang Avenue 2, is considered the first launch of a “mega project” – above 1,000 units - in 2019. The Florence Residences “is priced appropriately” at an average of $1,450 psf. Some units have prices starting from below $1,400 psf. One of the biggest challenges that developers face today is that “buyers have a lot of choices between new launches and already launched projects”, according to Ismail Gafoor, CEO of PropNex Realty, one of five appointed joint marketing agencies at The Florence Residences. The others are ERA, Huttons Asia, OrangeTee & Tie and SRI. In January and February this year – prior to the launch of The Florence Residences - there were no significant suburban projects launched. As such, four neighbouring projects in the Serangoon-Hougang areas -- Affinity at Serangoon, The Garden Residences, The Tre Ver and Riverfront Residences -- garnered sales totalling about 200 units over the past four weeks, says Gafoor. 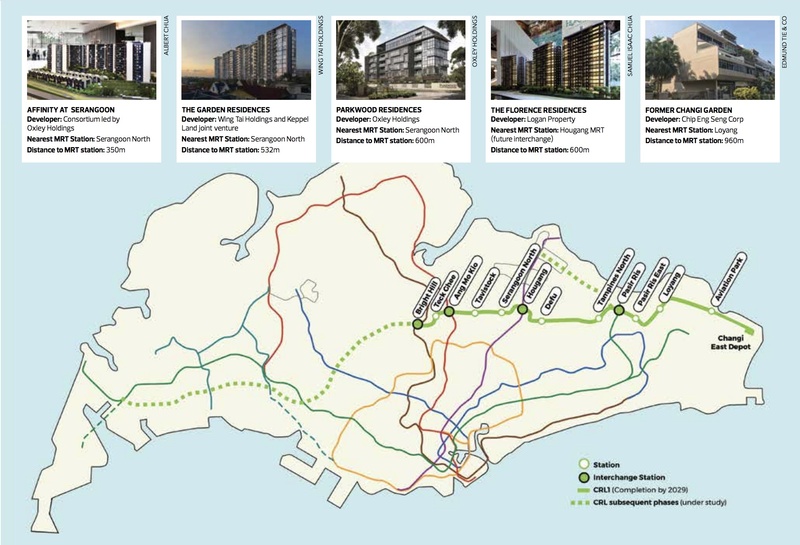 The pick-up in transactions at the 1,052-unit Affinity at Serangoon and the 613-unit The Garden Residences could be largely attributed to the Jan 25 announcement of the 12 stations on the first phase of the Cross Island Line (See Map below). One of the 12 upcoming stations on the line is Serangoon North, where one of the exits is located just 350m from Affinity at Serangoon, and 532m from The Garden Residences.